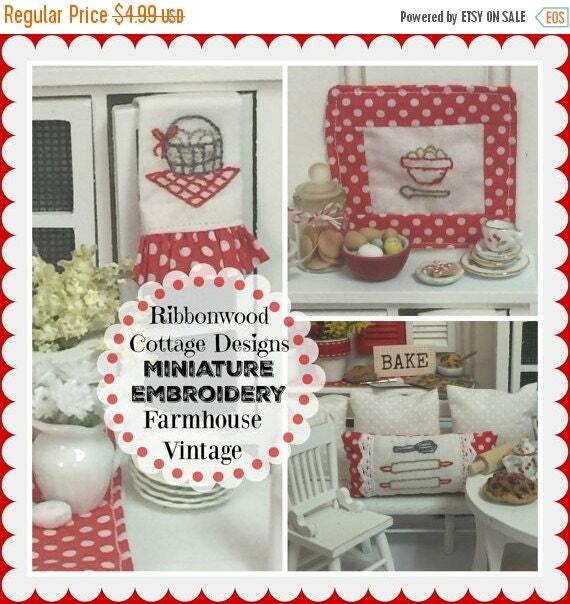 These simple but cute Farmhouse kitchen designs are easy to stitch. 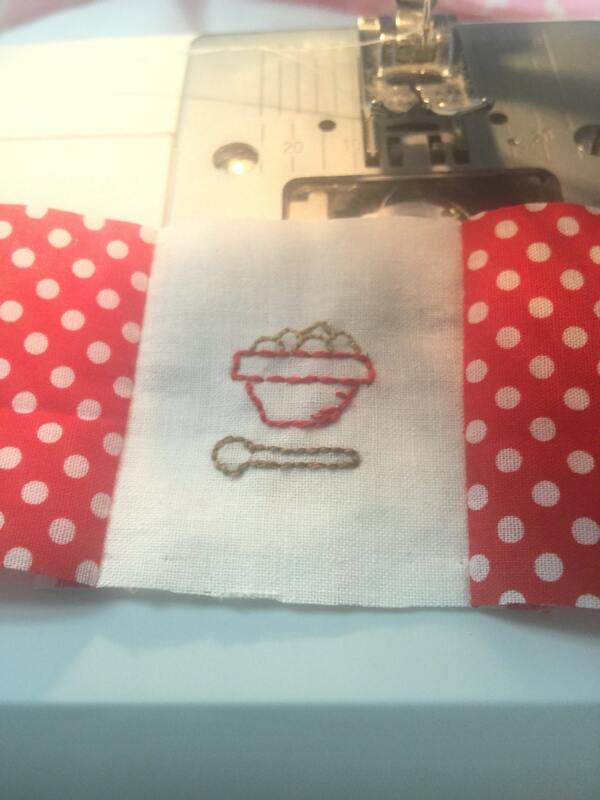 I show you how to do a back stitch or a straight stitch that outlines the designs. Very easy to do. 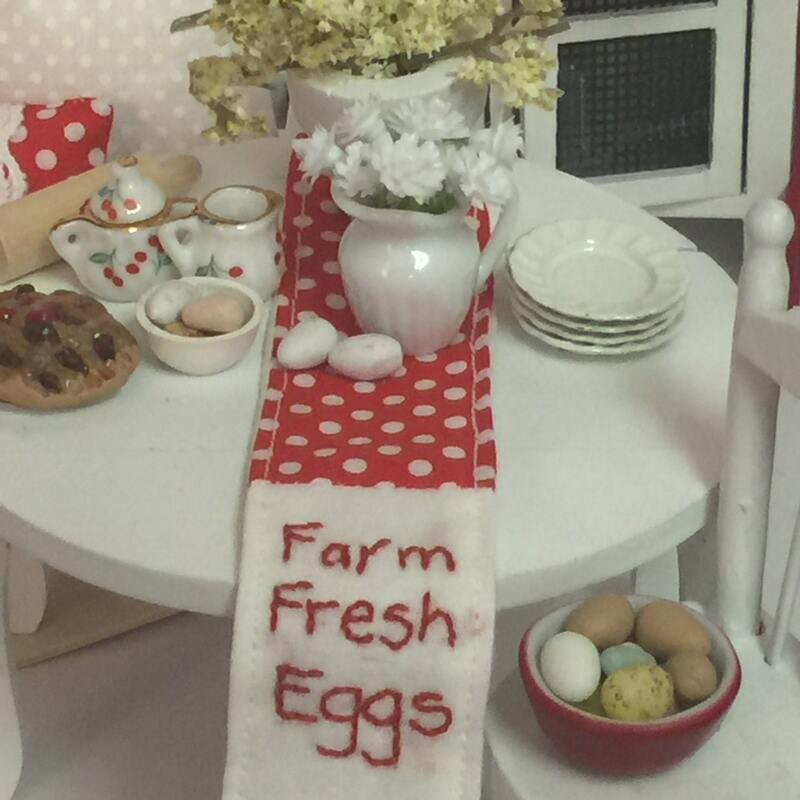 Then I give easy instructions for making these designs and turning them into dollhouse kitchen items like a kitchen towel, table runner, dining room wall hanging and a pillow for the dining room as well. I think stitching and sewing should be enjoyable. My gameplay is simple, easy stitching, turned into simple projects. 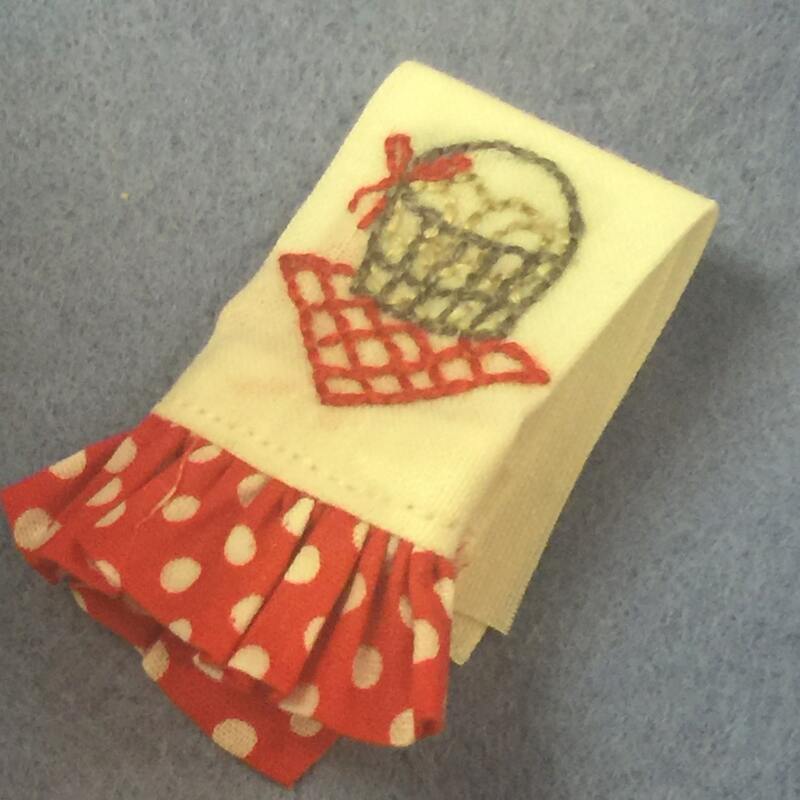 Stitching and embroidery is a great skill to teach young kids and teenagers. It is great to have a project with you at all times, to work on at sports practices, waiting for kids at school, or just waiting....haha! 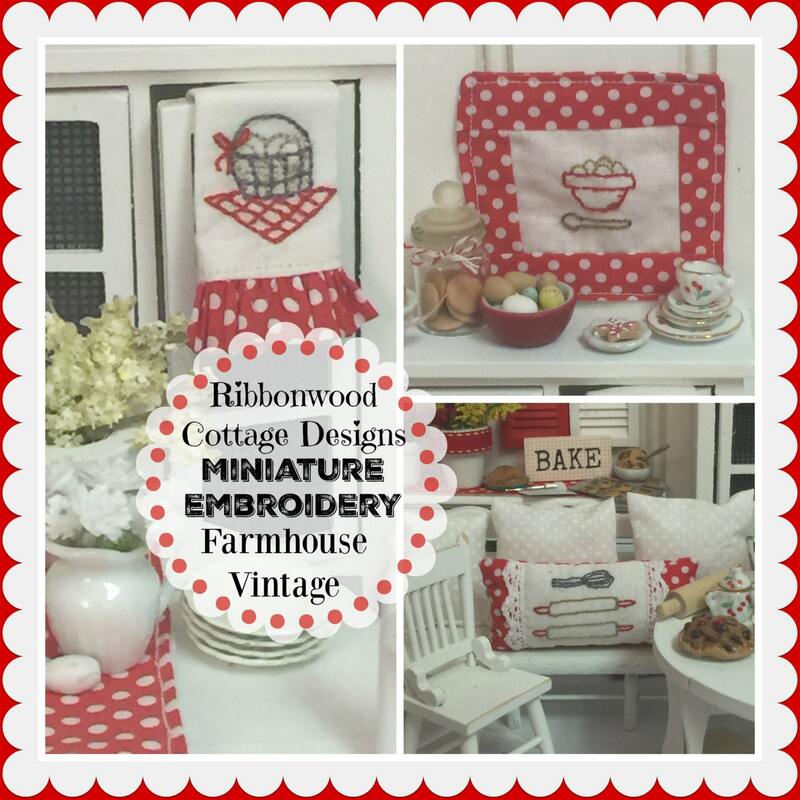 My mother taught me to hand sew as a young girl and I was always able to keep myself entertained with my stitching. Plus I enjoyed the end product! I hope you enjoy this pattern. The projects really are very simple! You are not receiving anything physical in the mail. You are not receiving these stitched items. You are receiving this downloadable pattern file.